Dessert is always a good thing. 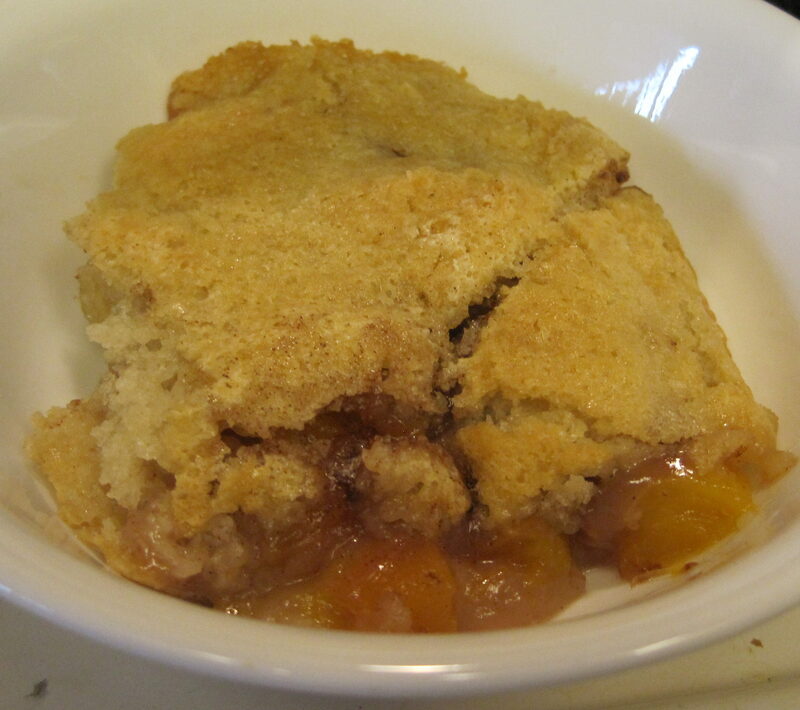 This dessert is make from a simple combination of ingredients that go together quickly to create a sweet and delicious cobbler with minimum stress for the cook. I used fresh fruit, but this recipe works just as well with either frozen or canned fruit. 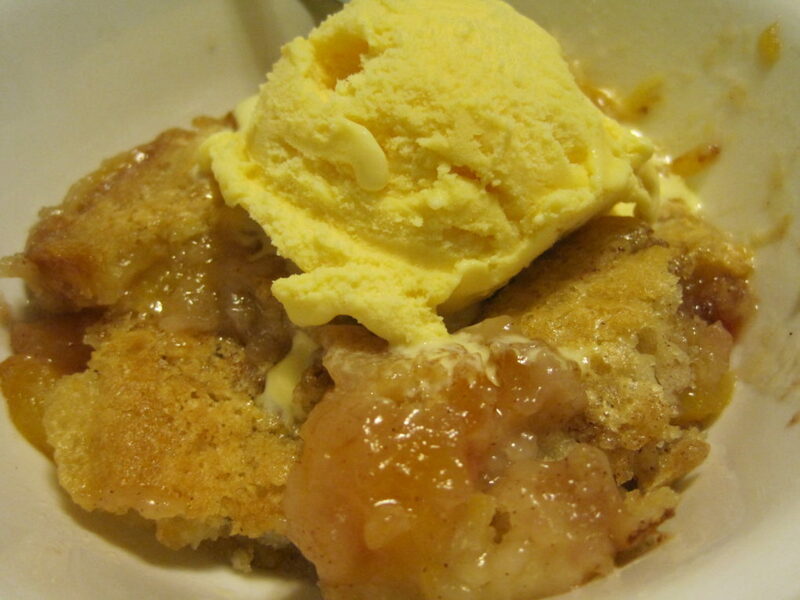 It’s our go to cobbler recipe when we want something sweet. I had been gifted with some fresh nectarines, and I needed to use them up quickly to prevent them from spoiling and going to waste. 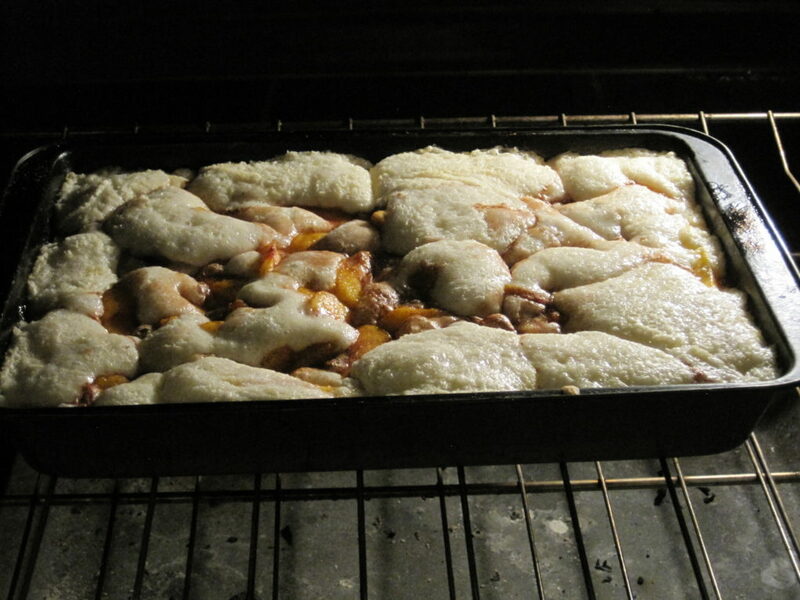 I opted to make a cobbler. This meant that I had to turn on my oven in summer, but this cobbler was completely worth it. After I melted a stick of butter in the bottom of my 9X13 inch pan, I mixed together my batter ingredients–flour, sugar, milk, and baking powder. The batter was poured onto the butter in the pan and spread out to the edges. I had already peeled and sliced my nectarines, and I carefully arranged them on top of the batter. I know these instructions sound backwards. This recipe is a bit weird, but the batter raises and the fruit sinks. Trust me. The final result is delicious. The top was sprinkled with sugar mixed with cinnamon. This recipe contains a lot of sugar. If you choose to reduce the sugar when you make it, make sureyou reserve some to sprinkle on the top. 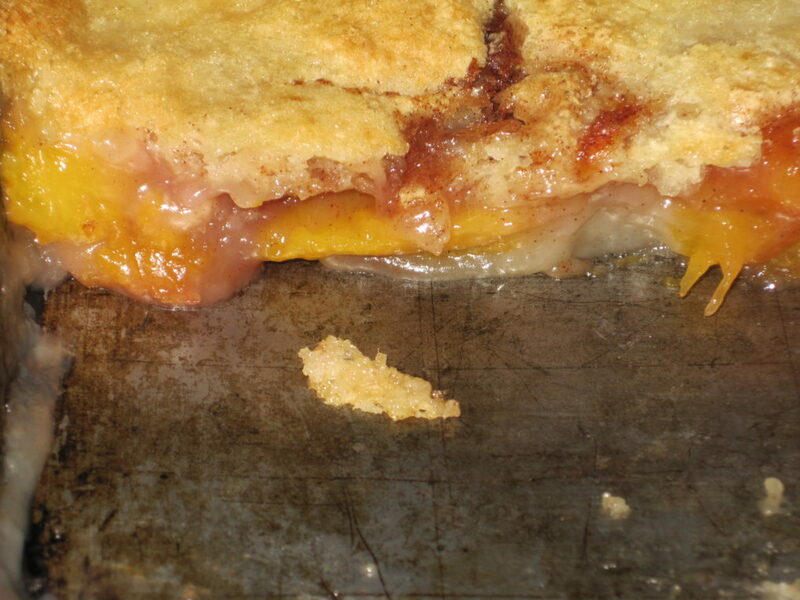 This helps to make a crispy and golden brown crust on top of your cobbler. The whole thing goes into the oven where it bakes for about an hour to allow the fruit to soften and the dough to thoroughly cook. I always like to peek once about half way through, so I can watch the dough rise around the fruit. 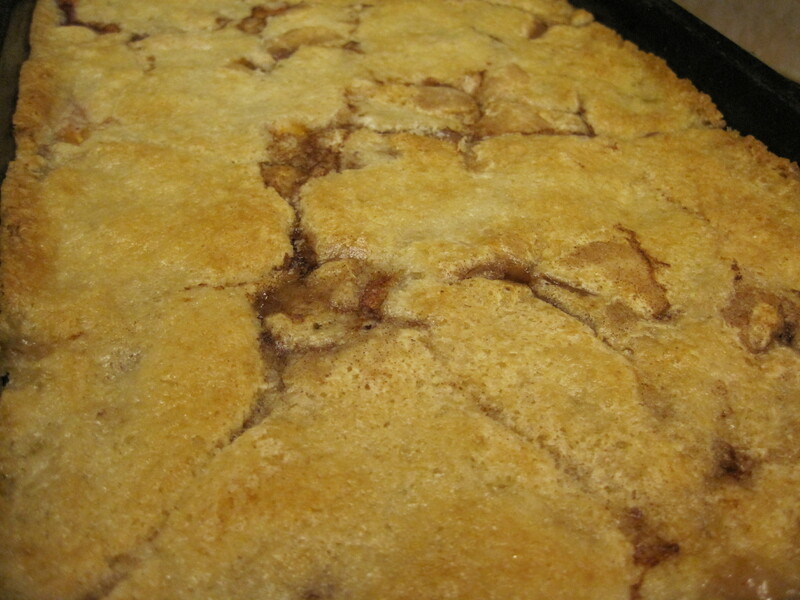 The cobbler is finished when the top is a light golden brown and has a crust on the top. The craggy surface with fruit stained crevices always make me think of geography class, but the cobbler is pure deliciousness. No matter how often I make this recipe, I am always amazed at the magic that takes place in the oven as the ingredients shift places. It’s so good that it makes you want to do a happy dance. Whether we choose to serve it with ice cream on top or plain, it’s one recipe always makes Sue Chef’s mouth happy, and she hopes you make it for your family, too. Dessert is always a good thing. 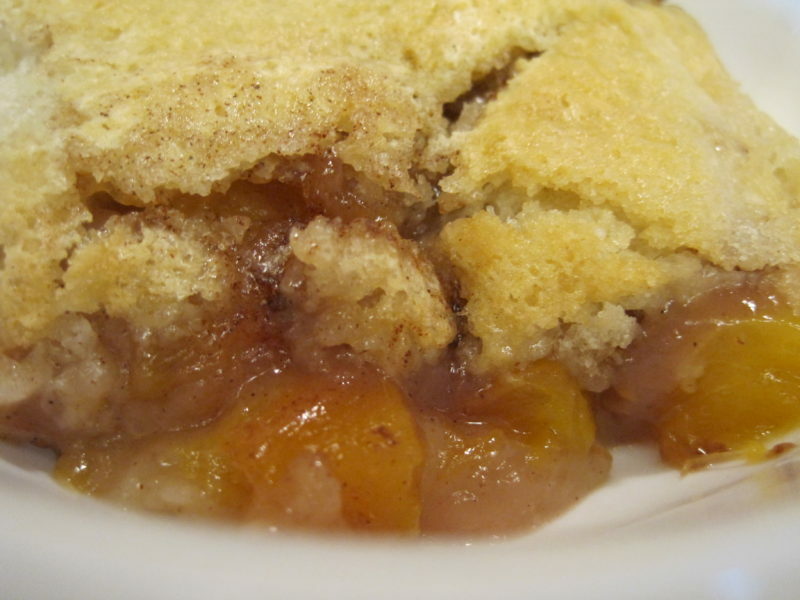 This cobbler is made with a simple combination of ingredients that go together quickly to create a sweet and delicious cobbler with minimum stress for the cook. I used fresh fruit, but this recipe works just as well with either frozen or canned fruit. 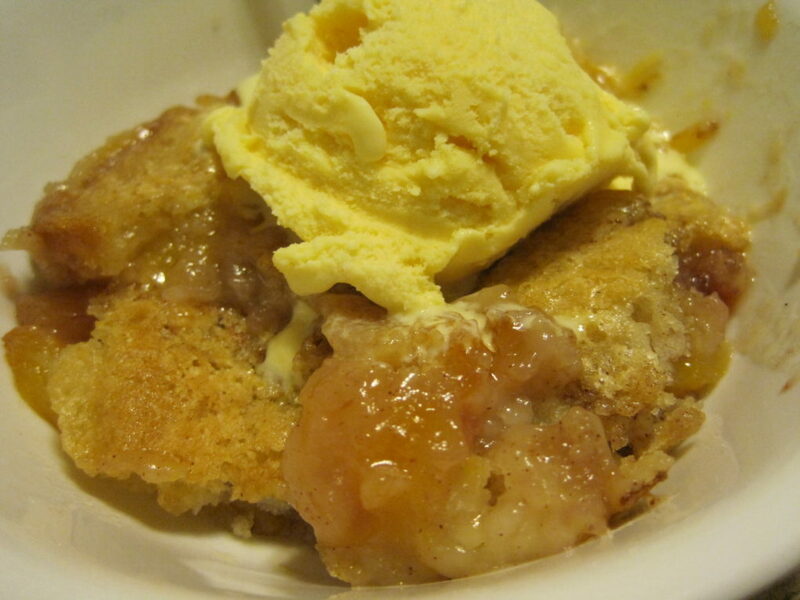 It's our go to cobbler recipe when we want something sweet. Cook's note: If you use fresh fruit that requires you to peel and slice, the prep time will be longer. Turn on oven and preheat to 325 degrees. 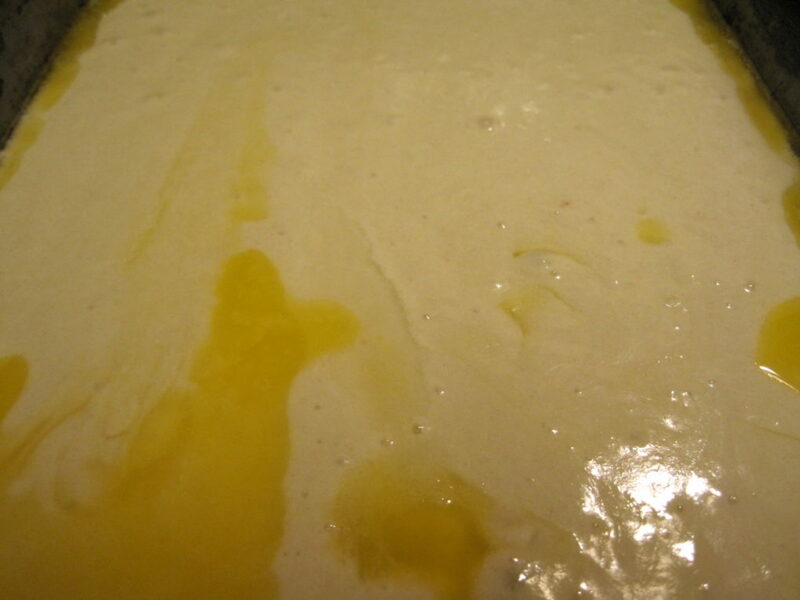 Melt butter in the bottom of a 9X13 baking dish, making sure to spread it evenly on the bottom of the pan. You can stick the pan with the stick of butter into the oven while it preheats then remove it. Mix together 1 cup flour, 1 cup sugar, ¾ cup milk, and 2 teaspoons baking powder. Stir batter until well combined. Pour batter over butter in the pan, spreading it evenly across the bottom, making sure it reaches out to the edges by pushing it with a spoon or spatula. 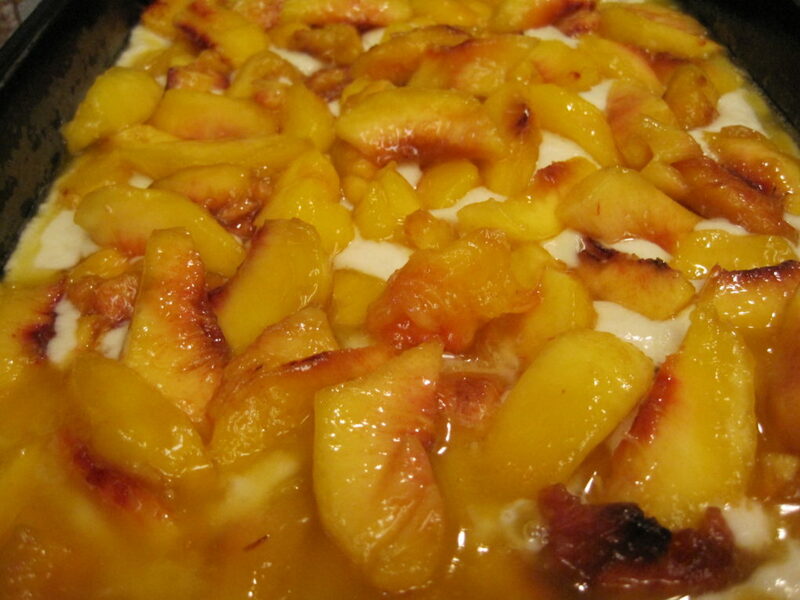 Carefully spoon sliced nectarines over the batter, making sure that they are evenly distributed. Mix ½ teaspoon cinnamon with the remaining ½ cup sugar. 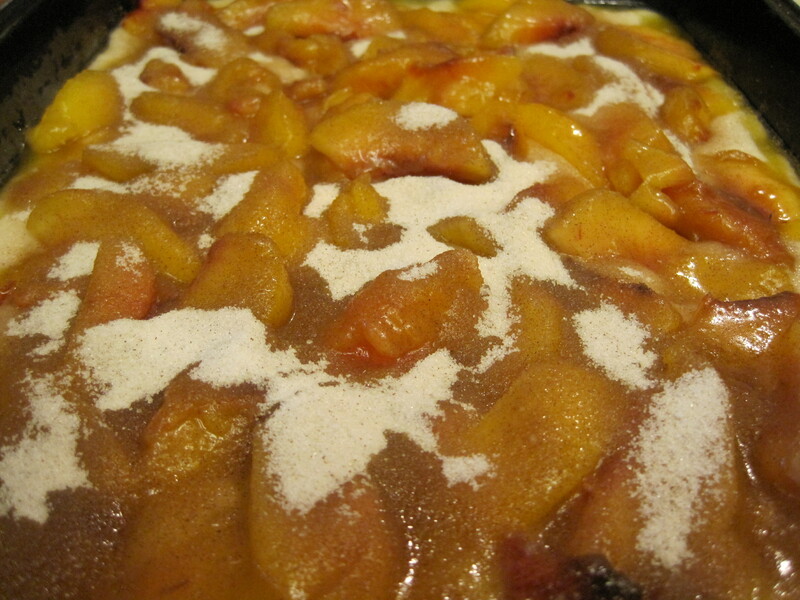 Sprinkle the sugar, cinnamon mixture evenly over the fruit. Place pan in preheated oven and bake at 325 degrees for 1 hour or until top is golden brown. *Nutritional Facts are calculated using reduced fat milk.